Thanks to its compact design, high reliability and accuracy, the type 300 bending beam sensor load cell has many applications, both in automatic and non-automatic weighing equipment. The reliability is guaranteed by the stainless steel construction and the hermetic sealing of all electrical parts, resulting in the protection classes IP68 and IP69K. The type 300 is proven in chemical and food applications with unfavorable operating conditions. The accuracy is/was in accordance with the "industrial" standard, so suitable for weighing instruments of 3000 d or, an accuracy of 0.03%. In the carrying capacities of 50 kg up to and including 500 kg the sensors are now also available with an accuracy that allows applications of 6000 d or 0.017%. This offers new possibilities for weighing systems used for determining the mass of objects with great variety in weight. 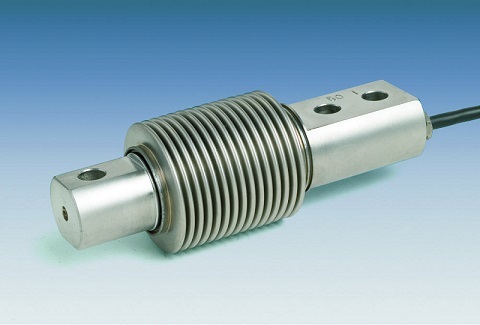 The improved accuracy is captured in the certificate of the load cell, so it can also be used for trade applications. Thanks to an extensive collection of loading assemblies, mounting of this load cell is easy.